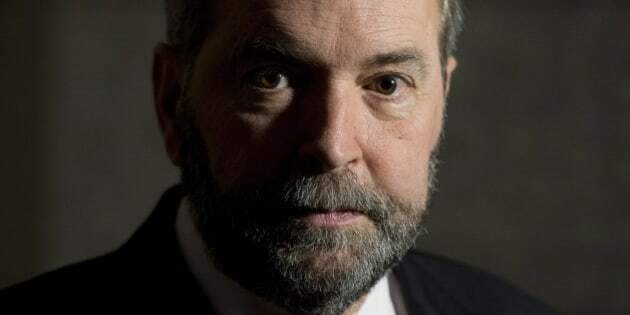 TORONTO — Rural NDP MPs revolted this week over leader Thomas Mulcair's comments on the long-gun registry. Speaking to reporters on Wednesday, Mulcair brought up the notion a registry would be revived under an NDP government. The news came as a shock to some members of his caucus. “When I read that headline I literally banged my head on the desk,” Timmins—James Bay MP Charlie Angus said to Sault Ste. Marie newspaper SooToday. Angus told The Huffington Post Canada Friday that he spoke with Mulcair after his comments and clarified that an NDP government would not bring back a registry. “Spoke with Tom and the party about this issue. There is no appetite for a new gun registry for ordinary rifles, shotguns, etc,” he said in an email. “We need to focus on smart gun policies. We are concerned about prohibited and restricted weapons,” he said of the party’s priorities. Thursday morning, Angus issued a statement on his website that ran counter to what Mulcair had said Wednesday. “The NDP has been clear: We have absolutely no plan to bring back the failed Liberal long-gun registry. Full stop,” the statement said. B.C. interior MP Nathan Cullen also took to Facebook to say Mulcair would not bring back the registry. Thunder Bay—Rainy River MP John Rafferty, who voted in favour of abolishing the registry in 2012, told a local radio station Thursday he was ready to break party ranks again if it came down to it. “I’m not surprised that it has become an issue, it seems to become an issue every year,” he said, according to a report on tbnewswatch.com. Mulcair told reporters Wednesday that weapons should be registered. “I mean I have nothing against seeing honest farmers and duck hunters be able to have their weapons, but you know, that honest hunter who goes out with his pickup truck, it’s a registered pickup truck, and he’s carrying his 4x4 in a trailer and the trailer’s registered and the 4x4 is registered,” he said. Postmedia’s Michael Den Tandt accused Mulcair of grandstanding on the eve of the 25th anniversary of the Ecole Polytechnique massacre. “This foray is another straight play for Quebec votes, and further evidence that the NDP’s strategy for Election 2014 is not to win, but rather to survive with most of its Quebec seats,” Den Tandt wrote. In 2011, the NDP led by the late Jack Layton swept the province by winning 58 out of its 75 federal seats. During the NDP leadership contest, Mulcair was generally seen as the leader who could best keep those Quebec seats and grow out the party in the rest of Canada. Mulcair’s political manoeuvre comes amid Quebec’s current bid to save millions of long-gun registry records on the province's firearms owners. The gun-control debate is top of mind again following Bill C-42, a Conservative-led bill named the “Common Sense Firearms Licensing Act” introduced in October. Designed to loosen select licensing rules, proposals made in the bill include amendments to the Firearms Act including a motion to abolish transportation permit requirements for firearms owners. It was placed on the back burner after the October shooting on Parliament Hill.